We’d love your help. 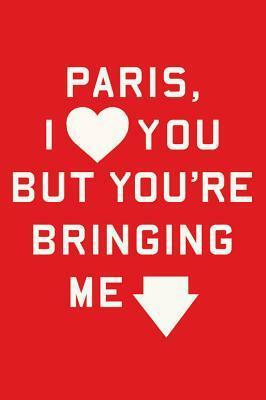 Let us know what’s wrong with this preview of Paris, I Love You but You're Bringing Me Down by Rosecrans Baldwin. A self-described Francophile from when he was little, Rosecrans Baldwin always dreamed of living in Paris—drinking le café, eating les croissants, walking in les jardins—so when an opportunity presented itself to work for an advertising agency in Paris, he couldn't turn it down. Despite the fact that he had no experience in advertising. And despite the fact that he barely A self-described Francophile from when he was little, Rosecrans Baldwin always dreamed of living in Paris—drinking le café, eating les croissants, walking in les jardins—so when an opportunity presented itself to work for an advertising agency in Paris, he couldn't turn it down. Despite the fact that he had no experience in advertising. And despite the fact that he barely spoke French. After an unimaginable amount of red tape and bureaucracy, Rosecrans and his wife packed up their Brooklyn apartment and left the Big Apple for the City of Light. But when they arrived, things were not eactly what Rosecrans remembered from a family vacation when he was nine years old. To ask other readers questions about Paris, I Love You but You're Bringing Me Down, please sign up. Isn't the title of the book like the song "New York, I Love You But You're Bringing Me Down" by LCD Soundsystem? From Gossip Girl soundtrack? PILYBYBMD, hereafter known as 'the book', is a pretty solid contribution to at least three or four heavily saturated and eternally popular genres: the travelogue, in which a stranger finds fulfillment and revelation in giving themselves over to a foreign situation; the office expose, in which the quirks and aspirations of one's coworkers are documented and arcane work practices and dynamics of power are brought into the open; and the city fetish novel, of which the Parisian love song is a highly PILYBYBMD, hereafter known as 'the book', is a pretty solid contribution to at least three or four heavily saturated and eternally popular genres: the travelogue, in which a stranger finds fulfillment and revelation in giving themselves over to a foreign situation; the office expose, in which the quirks and aspirations of one's coworkers are documented and arcane work practices and dynamics of power are brought into the open; and the city fetish novel, of which the Parisian love song is a highly common strain. One might add the autobiographical account of an aspiring artist/writer struggling to find their own voice and pay the bills to boot. In all honesty, I can think of a far superior work (or several) in each genre, but none that has woven them together so fluidly and enjoyably. I continually deferred reading on books with possibly more educational value or artistic merit, but finished 'the book' in the course of a few evenings and commutes to work. I found myself recommending it to friends, offering to lend it out or planning to purchase copies as gifts. Farrar, Strauss and Giroux timed the release of the book perfectly; it has broad appeal and rewards for only a small commitment, equally perfect for plane flights or poolside. It's the kind of book that was meant to be read with one's sunglasses on. The best of these works are successful because they tap into the potential for projection and escape that literature allows, but they do it in such a way that connects with one's own experiences and generates sympathy for the author's point of view. This is essentially what we have here. Perhaps the thing that I rate most highly is that Baldwin's style counters the sense of disconnect I would likely have felt in a straight presentation of the facts: the plucky way he oversold his skills to land the job; his rapid ascent through the ranks, the expat/trust-fund set parties, the celebrity dishing, the exotic location shoots, the book deal, etc. Cooked down, it reads like an unusually optimistic Whit Stillman script than an actual chain of events. It's the character of the voice and the quality of description that sells it. I am deeply bugged by people who get to live the dream of a lifetime and then complain about it in book form. Rosecrans Baldwin lives my dream life and then decides he would rather be a hillybilly in North Carolina. The end. Boo to throwing away opportunities, boo to whining about how inconvenient life can be, boo to not making the absolute most of a once in a lifetime chance. And boo to this book. Champagne's good; especially when waiting for a table at a restaurant or anytime before noon on a first class business trip, but if you don't have a bottle of it on hand while reading this memoir of an American living in Paris, it will seem like an inconvenience. It's like Madmen and cigarettes and scotch. It would be easy to digress here, but I won't. This is a young American ad exec/novelist's take on what it's like to work and live in Paris for a year and a half with an affable live-in girlfr Champagne's good; especially when waiting for a table at a restaurant or anytime before noon on a first class business trip, but if you don't have a bottle of it on hand while reading this memoir of an American living in Paris, it will seem like an inconvenience. It's like Madmen and cigarettes and scotch. It would be easy to digress here, but I won't. A) Didn't David Sedaris already write this book? B) I am done with these wacky non-fiction memoirs. Done, I tell you! Utter shite. At least for the first ten pages. Maybe it got better. But this book repulsed me, so I stopped reading. Recently visited our local branch of the Boston Public Library system - first time in many years - and came across this book. It was an interesting read for me as I am both very fond of Paris, having visited this greatest of cities many times for both business and pleasure, and also given that I was once an expatriate (French speaking side of Switzerland), myself. Baldwin gives a great perspective on the day-to-day life of a working expatriate during recent times; the times of Sarkozy. He has a Recently visited our local branch of the Boston Public Library system - first time in many years - and came across this book. It was an interesting read for me as I am both very fond of Paris, having visited this greatest of cities many times for both business and pleasure, and also given that I was once an expatriate (French speaking side of Switzerland), myself. Baldwin gives a great perspective on the day-to-day life of a working expatriate during recent times; the times of Sarkozy. He has a great sense of humor as a writer, and his insights into the character, daily habits and expectations of young Parisians were hilarious. It was enjoyable to follow him and his wife on their daily learning curve; starting with the confusion, frustration and sometimes downright embarrassment associated with learning a foreign language, through to his insights regarding his fellow workers and their more limited opportunities as domestics. A little bit "Mad Men," a little bit "Midnight in Paris," a lot like "2 Days in Paris"--this is one of my favorite I-moved-to-Paris tales. It's funny and reflective, without being overwritten. You'll relate to this if you've ever moved overseas. Not just gone to a foreign country for work for a week or two, but paid utilities, navigated workplace politics, and felt helpless in the face of authorities/emergencies/your own phone. Baldwin's mandatory day-long French civics class is hilarious, as ar A little bit "Mad Men," a little bit "Midnight in Paris," a lot like "2 Days in Paris"--this is one of my favorite I-moved-to-Paris tales. It's funny and reflective, without being overwritten. You'll relate to this if you've ever moved overseas. Not just gone to a foreign country for work for a week or two, but paid utilities, navigated workplace politics, and felt helpless in the face of authorities/emergencies/your own phone. Baldwin's mandatory day-long French civics class is hilarious, as are his harangues with persistent telemarketers. about a then-popular dance craze: "To do the Tecktonik was a solo act: arms twirling while the knees clapped together. Mostly it was popular with teenage boys, whose hips didn't move anyway." about the Metro during rush hour: "When a train arrived, filled to capacity, desperate commuters would throw themselves at the fleshy spots, and either they fell back stunned or they stuck for a moment and used the closing doors to pinch their asses and squeeze them in." OK. The fourth star here may simply be a reflection of my guilt at only giving a single star to Rosecrans Baldwin's other book "You Lost Me There". Perhaps this account of Baldwin's 18 months in Paris, working at a French advertising agency while writing that other book, had particular resonance because I have spent 12 of the last 24 months in Paris, wrestling with many of the same French idiosyncrasies he describes. But I certainly couldn't write about them as accurately and hilariously as he d OK. The fourth star here may simply be a reflection of my guilt at only giving a single star to Rosecrans Baldwin's other book "You Lost Me There". Perhaps this account of Baldwin's 18 months in Paris, working at a French advertising agency while writing that other book, had particular resonance because I have spent 12 of the last 24 months in Paris, wrestling with many of the same French idiosyncrasies he describes. "john le carre said the only way to write about a place was after visiting for a day, or after a long life once you'd moved there. but time between these two lengths didn't lend more certainty, just detail." and that's exactly what this was, a play-by-play descriptathon with very little narrative or spark. Rosecrans has had a dream since childhood of living in Paris. When the opportunity arises he pounces on it. This memoir lite is about when expectation meets reality and you're forced to take off your rose colored glasses. Even with that though, the Paris of this book is viewed with affection. This is told in a series of anecdotes. A lot of it is more amusing than laugh out loud funny and it's not particularly deep. I also thought a lot of the problems he had were self inflicted. He's a twenty so Rosecrans has had a dream since childhood of living in Paris. When the opportunity arises he pounces on it. This memoir lite is about when expectation meets reality and you're forced to take off your rose colored glasses. Even with that though, the Paris of this book is viewed with affection. He's a twenty something man who's offered a job as a copywriter for an advertising firm in Paris. He lies about the amount of French he knows so a lot of the jokes are about the language barrier& communicating with strangers, friends & co workers. He comes with his wife Rachel who also has trouble with the language. She doesn't have a work permit so she ends up having to take French lessons during the day. Also the apartment they've chosen has construction going on all day. I couldn't figure out why they didn't just try to get a new apartment. Maybe because Rosecrans was at work all day & it was mainly a problem for his wife to deal with? He came across a little self centered. At the advertising firm there's lots of colorful French people. He starts off working with Bruno on campaigns for baby food so there were lots of jokes about seeing so many female breasts that he becomes bored with it. He eventually casually steps over Bruno & gets promoted to luxury items. There's an element in here of complaining but really bragging. For example one chapter starts "On December morning, two gorgeous girls in lingerie opened the door for me at work." Or another one, " On a cold day in January, Claudia Schiffer was sitting outside our office wearing only her bra and underpants. She didn't look cold, she looked expensive." There's some other celebrities that are name dropped as well . If the purpose was to make me feel bad for them in Paris, it never worked. Even when Rosecrans said they were on a strict budget, they still managed to go to many parties some with other expats and invited to many dinners where they're either chugging champagne or drinking wine & beer. I did love the descriptions of the meals though, especially the last one he has with office friend Bruno, where each course was a variation of sausage & pork only to lead to the main course of steak. Amazing how everyone isn't having heart attacks over there. Rosecrans also went on holidays & to several different countries due to his job. They do eventually return to the US after living in France for a year. I think this is a nice book to read if you're planning to move to France or another country. It's a light travel book that gives some insight to what it feels like to be a stranger in a strange land. And even if you find yourself sometimes thinking, 'white people problems' it's well written enough to keep you going. Recommended for travelers and Francophiles. A self-described Francophile since the age of nine, Rosecrans Baldwin had always dreamed of living in France. So when an offer presented itself to work at a Parisian ad agency, he couldn't turn it down--even though his French was less than adequate. The book is a hilarious and refreshingly honest look at life in Paris. If you are looking for a travel book, this isn’t it. The main theme of the book seems to be how to adjust to French customs and mannerisms – especially in the workplace. France wo A self-described Francophile since the age of nine, Rosecrans Baldwin had always dreamed of living in France. So when an offer presented itself to work at a Parisian ad agency, he couldn't turn it down--even though his French was less than adequate. The book is a hilarious and refreshingly honest look at life in Paris. If you are looking for a travel book, this isn’t it. The main theme of the book seems to be how to adjust to French customs and mannerisms – especially in the workplace. France wouldn’t be my first choice for a foreign country where I would want to move - but I don’t speak any French. The book is becoming a bit dated but it is still relevant and a fun read. This memoir is one of the most clear-eyed and honest accounts of Paris expat life I've read. I laughed many times and cried a few -- and the ending broke my heart even as it helped me define my own emotions about leaving France. Rosecrans Baldwin has always dreamed of Paris since his family trip there as a child. He loved the atmosphere, the coffee, the sights, the sounds, and the way it made the people around him feel. The second he saw his mother's personality change after her first sip of Parisian coffee, he knew he wanted to move to Paris. Then his dream comes true when a friend tips him off about a job in an advertising firm and flies him out to the city of lights to interview for it. Of course, Baldwin has never wo Rosecrans Baldwin has always dreamed of Paris since his family trip there as a child. He loved the atmosphere, the coffee, the sights, the sounds, and the way it made the people around him feel. The second he saw his mother's personality change after her first sip of Parisian coffee, he knew he wanted to move to Paris. Then his dream comes true when a friend tips him off about a job in an advertising firm and flies him out to the city of lights to interview for it. Of course, Baldwin has never worked in advertising and barely speaks French. But those are just minor obstacles on the way to his dream. Baldwin and his wife pick up their life in New York and move it to a small apartment in Paris. The thing is, as with all dreams, once there in the light of day the City of Light doesn't quite live up to the memory Baldwin has been building up in his head all these years. As someone who was a Francophile from a young age but never had the opportunity (and by opportunity I mean financing) to visit Paris I like having the opportunity to see it through different lenses while reading fiction and memoirs. I have a favorite book of French memoirs I got when I was in middle school and nothing yet has lived up to the fabulousness my 12-year-old-self felt for that book. So maybe my review is a bit biased because I've already read what, in my mind, is the best French memoir of all time. Now that that intro is out of the way, "Paris I Love You But You're Bringing Me Down" was a good memoir. It was fast-paced enough that I didn't get bored with it in the middle and the chapters were divided in a way that kept the story flowing without letting any one particular point get overdone. There wasn't as much humor in the book as was claimed, in fact most of it didn't seem all that funny (dry humor or otherwise). In fact, there wasn't really all that much substance to it at all. If taken as a series of vignettes, with a different story each chapter, it's an interesting and entertaining read. Each story gives you a glimpse into Parisian life, from the red tape surrounding citizenship cards and medical insurance to the social status of owning an instant coffee maker. Taken as a whole, however, as a single book from Chapter 1 to the end, it's just so-so. PLOT- In his memoir, Paris, I Love You, But You're Bringing Me Down, Rosecrans Baldwin recounts his eighteen months living in Paris. Baldwin and his wife, Rachel, are in their late-twenties and they seize the opportunity to live in another country, when Rosecrans is offered an opportunity as a copywriter at a French advertising agency. Paris, I Love You, But You're Bringing Me Down, tells the highs and lows of attempting to live in a different culture. LIKE- Within the first two pages of the book, I was laughing so hard that I had to stop and read paragraphs aloud to my husband. It was too funny to keep to myself. Baldwin's witty style of writing and keen observations kept me turning the page. Paris, I Love You, But You're Bringing Me Down, was so enjoyable, that I found myself eschewing household chores and homework, because I wanted to read "just one more chapter." Fun stuff. I like how Baldwin's experience was a rollercoaster. His time in France is peppered with colorful characters, cultural missteps, and lots of red tape. I get the feeling that both Baldwin and his wife, have a genuine love for Paris and the community of friends that they have made, but that they also miss many things about America. This is honest to me. My husband is English and I'm sure that if I moved to Great Britain, I'd feel the same mix of emotions. How could you not? The cultural differences create many of the comedic situations in Baldwin's memoir, but Baldwin and his wife, navigate most of these differences with a good attitude and a sense of adventure. Many of the most entertaining chapters involve Baldwin's coworkers at the advertising agency. He has a quirky bunch of coworkers and a less-than-stellar command of the French language, creating miscommunication, frustration, and laughs. RECOMMEND- Yes! Paris, I Love You, But You're Bringing Me Down is highly entertaining and a fun ride. I enjoyed living vicariously through Baldwin's Paris adventure. Paris, I Love You but You're Bringing Me Down is American author Rosecrans Baldwin's humorous documentation of his several seasons spent living in Paris and working as a copywriter at a French advertising agency. I was thrilled to discover this was an actual book after reading an excerpt (and loving it) online. The book was a fun read, and really shone in the passages in which Baldwin shares his misadventures arising from lack of fluency and cultural awareness. 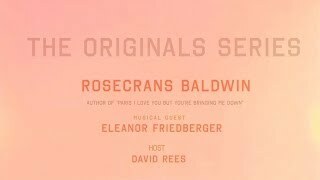 (The section dealing with his confu Paris, I Love You but You're Bringing Me Down is American author Rosecrans Baldwin's humorous documentation of his several seasons spent living in Paris and working as a copywriter at a French advertising agency. I was thrilled to discover this was an actual book after reading an excerpt (and loving it) online. The book was a fun read, and really shone in the passages in which Baldwin shares his misadventures arising from lack of fluency and cultural awareness. (The section dealing with his confusion about when it was and wasn't socially acceptable to dole out les bises, the kisses, remains one of my favorites.) His coworkers act as a wonderful supporting cast, and their confusion or humorous exasperation with their American coworker made for funny stories. And of course, it's difficult not to feel envious (both for the reader and for some of his coworkers) as he shares details of his extravagant travels paid for by his agency as they woo luxury brands. A year and a half ago, I was one of those people who strongly did not approve of those "Paris is always a good idea" shirts, those datebooks and planners with the hazy pictures of the Eiffel Tower and champagne glasses. Nothing against Paris, just... ugh. Très passé. But then I went to Paris, and I've wanted all those things ever since. This book isn't my favorite - there wasn't a lot of what I was hoping for. But I like what it has to say about being in a foreign country, living in a foreign cou A year and a half ago, I was one of those people who strongly did not approve of those "Paris is always a good idea" shirts, those datebooks and planners with the hazy pictures of the Eiffel Tower and champagne glasses. Nothing against Paris, just... ugh. Très passé. But then I went to Paris, and I've wanted all those things ever since. I had been meaning to read Rosecrans Baldwin's debut novel You Lost Me There for some time now. But you know how it goes, another book gets in the way and another one... and another one... and well, you know. So when I saw that Baldwin came out with an American in Paris memoir (which included -- not that I knew it at the time -- the writing of that novel), I figured it was a way to make up for that reading sin of omission... particularly being a fan of Europe, including a few quite pleasant days I had been meaning to read Rosecrans Baldwin's debut novel You Lost Me There for some time now. But you know how it goes, another book gets in the way and another one... and another one... and well, you know. So when I saw that Baldwin came out with an American in Paris memoir (which included -- not that I knew it at the time -- the writing of that novel), I figured it was a way to make up for that reading sin of omission... particularly being a fan of Europe, including a few quite pleasant days spent in the City of LIght a handful of years ago. While I was well aware that half of the book's title was "bringing me down," I still anticipated that it would having me headed to a travel website shopping for a Paris vacation. But while there are glimpses of "love" for the city throughout, ultimately there was surprisingly little to encourage that web surfing. There was just not much that attracted me to Baldwin's Paris. As noted here before on Goodreads, I find it difficult to review memoirs - how can you be critical of someone's life and/or how they choose to share it with readers? While there is some everyday "fish out of water," stuff that anyone who traveled abroad can relate to, this was just too subtle - with a lot more material about working in/the work-place in France which just did not connect with me. Likewise, the social circles that Baldwin and his wife travel in are just not ones I would ever imagine myself in either. Interesting, informative and insightful, but again not just a full connection with the material over time. Still a quick and good read and, if anything, kind of refreshing that this was not the typical "love letter" that these type of travel-y memoirs tend to be... and I am still interested, perhaps even more so, to go back and finally read his novel now. I REALLY loved the first 35 pages or so of this book and I thought it was going to be a laugh a minute and a fresh, young voice talking about Paris. But, the middle and ending sections are really lacking in good humor, and even cohesion. I think the author's writing when he was optimistic about moving to Paris was a funny and well-written but then he lost his voice once he sort of got "in the flow" of life in upscale Paris. Some "characters" (It is non-fiction, yet I'm not sure what else to call I REALLY loved the first 35 pages or so of this book and I thought it was going to be a laugh a minute and a fresh, young voice talking about Paris. But, the middle and ending sections are really lacking in good humor, and even cohesion. I think the author's writing when he was optimistic about moving to Paris was a funny and well-written but then he lost his voice once he sort of got "in the flow" of life in upscale Paris. Some "characters" (It is non-fiction, yet I'm not sure what else to call the people he writes about and interacts with.) are fully fleshed-out, like his co-worker, Bruno, with whom he is totally obsessed or this weird guy called Christian. Others (pretty much all women), like his wife, Rachel, we don't get to know at all, or only get to know very late in the book. And his choice of words is just weird at times, "A black moon rose behind the roof, like a pearl in black underwear." (p 247). Huh? I didn't pick up "Paris, I Love You But You're Bringing Me Down" because I had some prior interest in Paris or French culture. I had simply read good things about it and was looking for something nonfiction to read. In the end, the book didn't blow me away, but I did enjoy it. I think I expected it be funnier than it was. It had subtle moments of humor, and some chuckle-worthy things, but it's definitely not a laugh-a-minute read. What it is is an ode to place and how find ourselves within that. T I didn't pick up "Paris, I Love You But You're Bringing Me Down" because I had some prior interest in Paris or French culture. I had simply read good things about it and was looking for something nonfiction to read. What it is is an ode to place and how find ourselves within that. There is not really a linear storyline from Rosencrans Baldwin, as it's not a plot-driven story. It's an anecdotal memoir relating Badlwin's year and a half or so spent living in Paris, France working at an ad agency. A long-time Paris dreamer, Baldwin's memories are framed within the context of realizing the true France, and both the good and bad in that. I think anyone can relate to the idea of the grass being greener. The true, 360-degree view of a place is often hard to grasp. As someone that's moved around quite a bit, I can definitely understand the love-hate relationship with a place, as no place is really perfect. Yet, at the same time, everyplace is perfect. That's ultimately what Baldwin discovers about Paris and the culture of France. "The only way to write about a place was after visiting it for a day, or after a long life once you'd moved there. ... But time between those two lengths didn't lend more certainty, just detail." Paris change! mais rien dans ma mélancolie n'a bougé! Maybe I just really like books set in advertising agencies. I really enjoyed Then We Came to the End, and Murder Must Advertise is one of my favorites of Dorothy Sayers' mysteries. The coworkers in the ad agency become such entertaining characters (I wonder what they think of the book, though). This is a humorous and well-written exploration of living in a place that exists simultaneously in your imagination and in reality and what happens in Paris change! mais rien dans ma mélancolie n'a bougé! I enjoyed this memoir, although I had imagined that I'd enjoy it more than I did. This is the story of a writer who (through a friend) finagles a job in Paris. The book chronicles the experiences of the author (and his wife) as they move to Paris and live there for one year. The author starts off feeling madly in love with the romantic idea(l) of Paris, then experiences a lot of bureaucracy, casual racism/sexism and general non-political correctness, tragic hipness & tight pants, & a lit I enjoyed this memoir, although I had imagined that I'd enjoy it more than I did. This is the story of a writer who (through a friend) finagles a job in Paris. The book chronicles the experiences of the author (and his wife) as they move to Paris and live there for one year. The author starts off feeling madly in love with the romantic idea(l) of Paris, then experiences a lot of bureaucracy, casual racism/sexism and general non-political correctness, tragic hipness & tight pants, & a little bit of disenchantment, but then re-falls in love with the real Paris. Loved this. It was a perfect vacation (Michigan) read: light and funny, but also with some depth. Perceptive. The author really does a great job of describing the love/hate relationship most of us have with Paris, including native Parisians, apparently. So beautiful! So bureaucratic! So lively and lovely, yet contrary and cranky. So, so French. I really related to what it is like to struggle through learning their language. The feeling of being so tired of working so incredibly hard all the time Loved this. It was a perfect vacation (Michigan) read: light and funny, but also with some depth. Perceptive. The author really does a great job of describing the love/hate relationship most of us have with Paris, including native Parisians, apparently. So beautiful! So bureaucratic! So lively and lovely, yet contrary and cranky. So, so French. I really related to what it is like to struggle through learning their language. The feeling of being so tired of working so incredibly hard all the time just to know what's going on around you. The frustration that one tiny little pronunciation mistake completely changes the whole shebang. This novel brought all of those feelings back. I had to read this memoir of Baldwin's time working at an advertising firm on the Champs Elysees in Paris, since I visited last year and vowed to go back. Reading Baldwin's book was better than a couple of weeks touring the arrondissements (well, almost). _Paris, I love you_ is filled with humor and poignancy and reveals the challenges of staying excited about living your dream when it becomes a part of your day to day grind. Baldwin shares the foibles of the French--both friends and strangers--b I had to read this memoir of Baldwin's time working at an advertising firm on the Champs Elysees in Paris, since I visited last year and vowed to go back. Reading Baldwin's book was better than a couple of weeks touring the arrondissements (well, almost). _Paris, I love you_ is filled with humor and poignancy and reveals the challenges of staying excited about living your dream when it becomes a part of your day to day grind. Baldwin shares the foibles of the French--both friends and strangers--but with a fondness that demonstrates that it is often their idiosyncracies that endear them to him. Along the way, the reader learns the truth of the modern Parisian--they work long hours, serve commercially-prepared gourmet hors d'oeuvres from the freezer section, and think of "liberte, fraternite, egalite" as situationally applicable. Painfully funny travelogue about living in Paris that wrecked both my daydreams about visiting there and my fantasy that I would feel more at home in a European city. Rosecrans gets a job at a Paris advertising agency and he and his wife move to Paris. He has exaggerated his language skills, leading to some of the book's funniest scenes, where he thinks he follows a conversation in French but entirely misses it - at a party, he believes he hears a story about a grandmother buying cheese and thro Painfully funny travelogue about living in Paris that wrecked both my daydreams about visiting there and my fantasy that I would feel more at home in a European city. Rosecrans gets a job at a Paris advertising agency and he and his wife move to Paris. He has exaggerated his language skills, leading to some of the book's funniest scenes, where he thinks he follows a conversation in French but entirely misses it - at a party, he believes he hears a story about a grandmother buying cheese and throwing it out a window, but it turns out to be about a friend's mother breaking her leg. He tries to adjust to office culture, including learning the intricacies of the double-cheek-kiss greeting, which is appropriate in some situations but not others. He kisses: "Male clients, IT support workers, freelance temps. Any female who came within ten feet. They'd return my weird kisses reluctantly, or else back away and attempt to ignore the gaffe." This book reminds me of David Sedaris. Crans and his wife move to Paris, they love it but it's also kind of difficult. But not TOO difficult because, you know, Paris. Really fun read. Crans's writing is loose and breezy but also deft, targeted. Full of memorably gorgeous scenes and moments. He manages to make delight swing on the page, which is pretty rare. The anecdotes just end when they're over, which makes some of them clunky and awkward, but that's as is should be--he doesn't over-philosophize or try to tie things up for the rea Crans and his wife move to Paris, they love it but it's also kind of difficult. But not TOO difficult because, you know, Paris. Really fun read. Crans's writing is loose and breezy but also deft, targeted. Full of memorably gorgeous scenes and moments. He manages to make delight swing on the page, which is pretty rare. The anecdotes just end when they're over, which makes some of them clunky and awkward, but that's as is should be--he doesn't over-philosophize or try to tie things up for the reader in fake bows. You know that there are so many aspiring writers in the world, and so many talented ones, who make you laugh, feel or cry. You hope from the bottom of your heart that they get somewhere to support their dreams, since they exert so much passion into it and do seem like they deserve it. Then you read a book like this, where somebody has got paid (some figure at least greater than $100) to write, and it's just like, WTF? This is one of the blandest, uninteresting, contrived works I've ever come acros You know that there are so many aspiring writers in the world, and so many talented ones, who make you laugh, feel or cry. You hope from the bottom of your heart that they get somewhere to support their dreams, since they exert so much passion into it and do seem like they deserve it. Paris shines through Baldwin's eyes, even with all its rough and rusty spots. I think I like it even more knowing the pins and tape holding the place together are there for me to find. I liked meeting the kooky cast of friends and colleagues and how I found someone I know in each of them. Rosecrans Baldwin is the author of three books, most recently The Last Kid Left (NPR's Best Books of the Year). His nonfiction appears in a variety of magazines, mostly GQ. 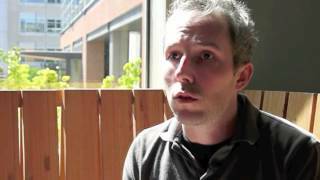 In 1999 he co-founded the online zine TMN, host of the Tournament of Books. More info at his website - rosecransbaldwin.com.